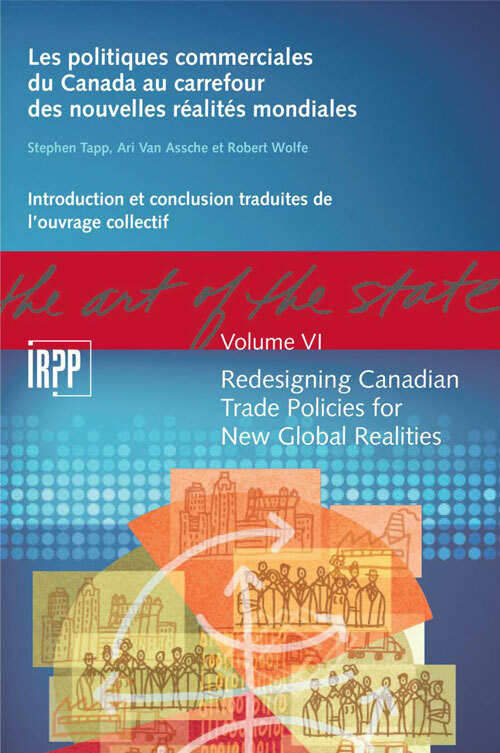 Redesigning Canadian Trade Policy for New Global Realities, edited by Ari Van Assche, Stephen Tapp and Robert Wolfe, has just won the 2018 Doug Purvis Memorial Prize from the Canadian Economics Association. The $15,000 prize created in 1994 in memory of noted Canadian economist Doug Purvis, is awarded annually to the authors of a highly significant written contribution to Canadian economic policy. The winning book, published in 2017, was the fruit of a multiyear interdisciplinary research project by the Institute for Research on Public Policy (IRPP). In it, 31 leading academics, government researchers and practitioners from Canada and abroad analyze how changes in global commerce, technology and economic and geopolitical power are affecting Canadian policies. Ari Van Assche is an Associate Professor and Director of the Department of International Business at the School. He is a Research Fellow with the Centre for Interuniversity Research and Analysis on Organizations (CIRANO) and the IRPP, and holds a PhD in Economics from the University of Hawaiʻi at Mānoa. He was nominated for the Haynes Prize for the most promising scholar under 40 from the Academy of International Business (AIB) in 2011, 2012 and 2015, and won the HEC Montréal Award for Teaching Excellence (Assistant Professor category) in 2010. Stephen Tapp and Robert Wolfe are Deputy Chief Economist with Export Development Canada and Professor Emeritus with the School of Policy Studies at Queen’s University, respectively.